August 9, 2017 – An experimental small satellite has successfully collected and delivered data on a key measurement for predicting changes in Earth’s climate. The Radiometer Assessment using Vertically Aligned Nanotubes (RAVAN) CubeSat was launched into low-Earth orbit on November 11, 2016, in order to test new technologies that help to measure Earth’s radiation imbalance, which is the difference between the amount of energy from the Sun that reaches Earth and the amount that is reflected and emitted back into space. That difference, estimated to be less than one percent, is responsible for global warming and climate change. Designed to measure the amount of reflected solar and thermal energy that is emitted into space, RAVAN employs two technologies that have never before been used on an orbiting spacecraft: carbon nanotubes that absorb outbound radiation and a gallium phase change blackbody for calibration. Among the blackest known materials, carbon nanotubes absorb virtually all energy across the electromagnetic spectrum. Their absorptive property makes them well suited for accurately measuring the amount of energy reflected and emitted from Earth. Gallium is a metal that melts — or changes phase — at around body temperature, making it a consistent reference point. RAVAN’s radiometers measure the amount of energy absorbed by the carbon nanotubes, and the gallium phase change cells monitor the stability of the radiometers. RAVAN began collecting and sending radiation data on January 25 and has now been in operation for well past its original six-month mission timeframe. “We’ve been making Earth radiation measurements with the carbon nanotubes and doing calibrations with the gallium phase change cells, so we’ve successfully met our mission objectives,” said Principal Investigator Bill Swartz of Johns Hopkins Applied Physics Laboratory in Laurel, Maryland. He and his team are now monitoring RAVAN in the longer term to see how much the instrument changes over time and are also performing data analysis and comparing its measurements with existing model simulations of outgoing Earth radiation. While the technology demonstration comprises a single CubeSat, in practice a future RAVAN mission would operate many CubeSats in a constellation. 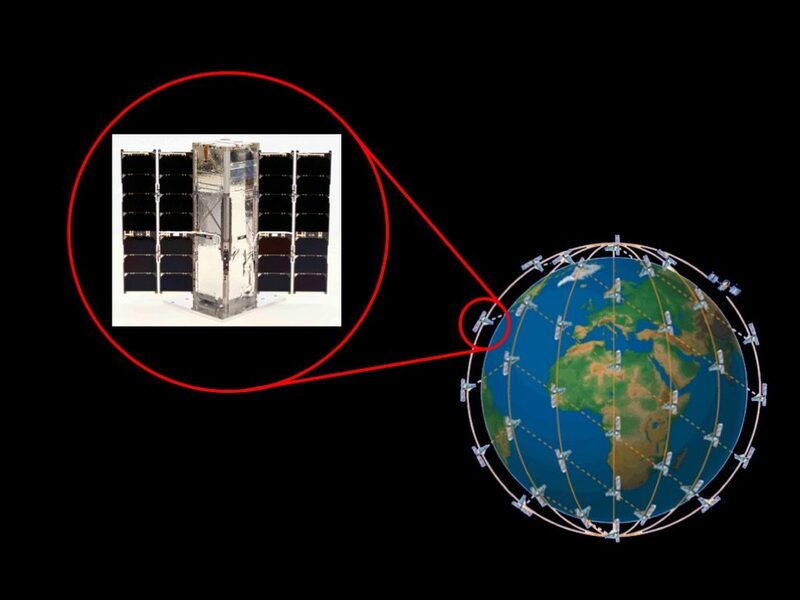 Instruments for measuring Earth’s outgoing energy are currently housed aboard a few large satellites, and while they have a high spatial resolution they cannot observe the entire planet simultaneously the way a constellation of RAVAN CubeSats could, Swartz explained. RAVAN and other Earth science CubeSat missions are funded and managed by NASA’s Earth Science Technology Office (ESTO) in the Earth Science Division. ESTO supports technologists at NASA centers, industry and academia to develop and refine new methods for observing Earth from space, from information systems to new components and instruments.